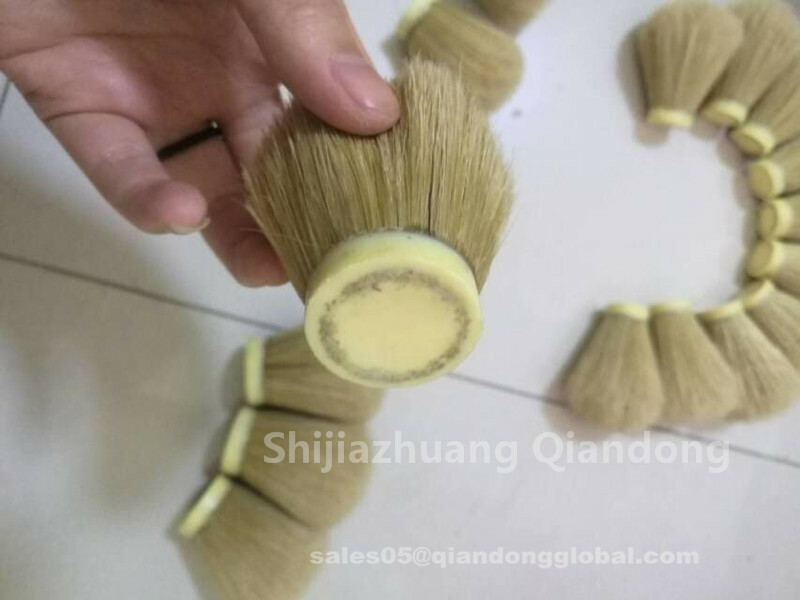 We are the leader of the production of the Shaving Brush Knot.Our products are high quality, no matter what the material of the Brush Knot is.The shaving brush heads may be bulb-shaped , fan-shaped, or other customer-specified shape. This product is made by handwork.The material is Boar Bristle. 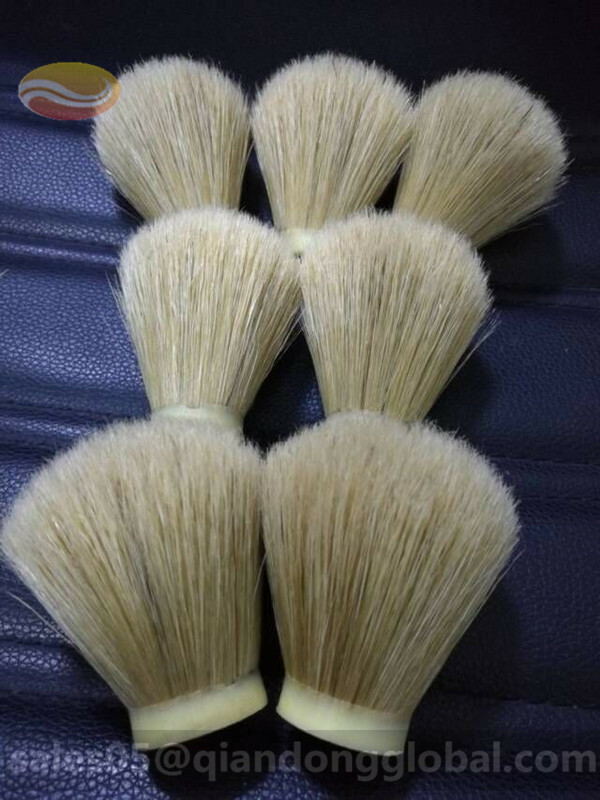 Boar bristle shaving brush knots are relatively inexpensive, but can be of very high quality. A well-made boar brush knot will break in with use; the bristles begin to split at their tips, resulting in a brush that is very soft but has considerable backbone. Unlike Badger Hair and synthetic fibers, boar bristles absorb water, so the brush should be soaked before use. 1. Are the boars killed to make the brushes like minks etc for coats or are they shorn like sheep? The boars are killed for food. Boar bristle is just byproduct. 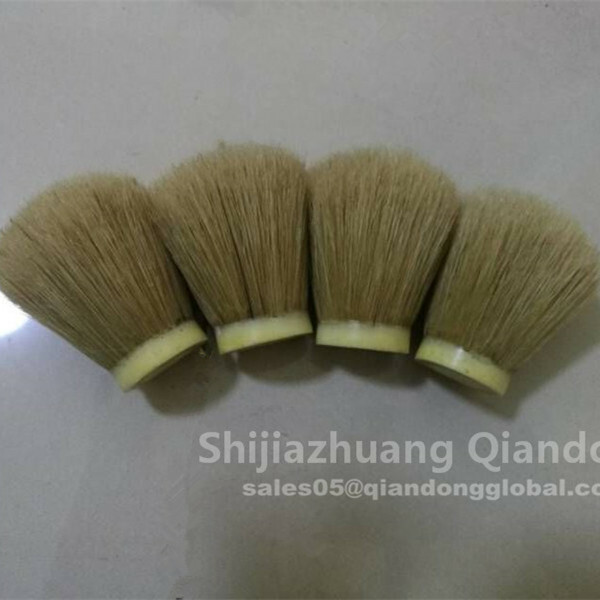 Looking for ideal Boar Bristle Shaving Brush Knot Manufacturer & supplier ? We have a wide selection at great prices to help you get creative. 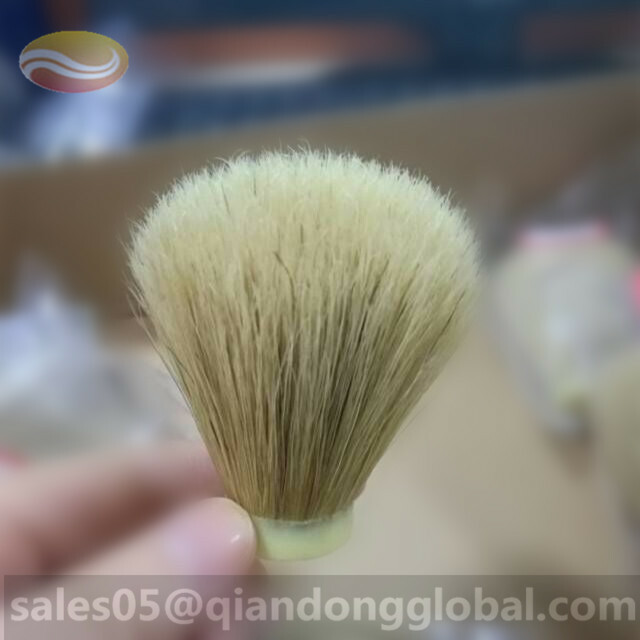 All the Pig Hair Shaving Brush Knot are quality guaranteed. 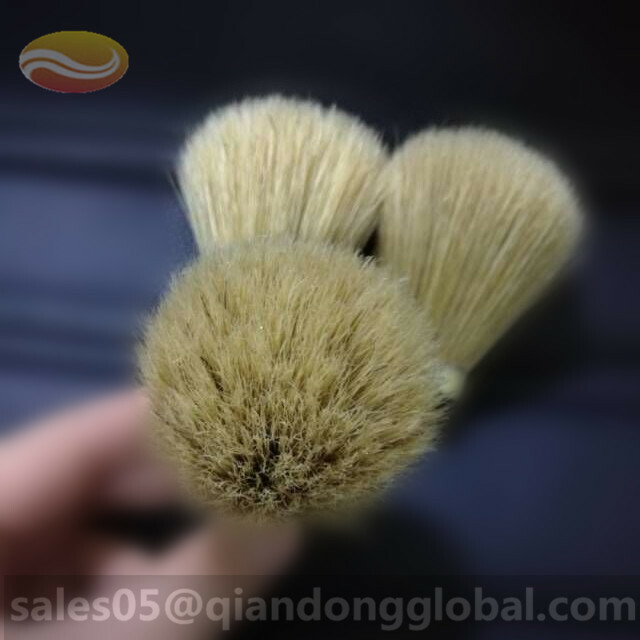 We are China Origin Factory of Hog Bristle Shaving Brush Knot. If you have any question, please feel free to contact us.